"Weightless is the newest example of The Kilbanes’ distinct style: a genre-bending theatrical event that combines intimate storytelling with a high energy rock show. Weightless is an adaptation of the story of Procne and Philomela found in Ovid’s Metamorphoses: two sisters bound by deep love are separated by a vengeful god and must travel across worlds to find their way back together. 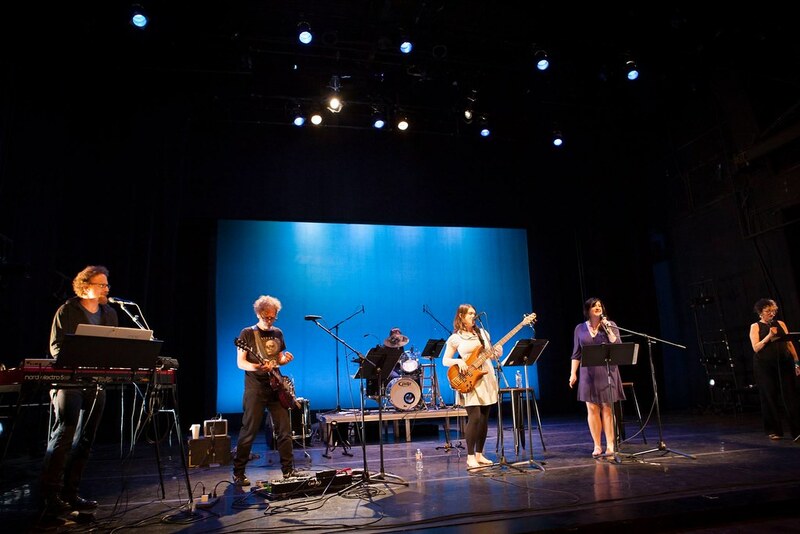 In Weightless, the cast and the band are one and the same, blurring the line between actors and musicians, between straight musical theater and concert. Weightless won “Best of Fringe” and sold out its run at the SF Fringe Festival in 2012, and The Kilbanes have partnered with Lisa Steindler and James Faerron (Encore Theater Company, Z Space) to develop Weightless as a full production, with a projected opening of early 2015."